Have you ever had a dream to go to a beautiful place to spend your holidays? If yes, then you are in the right place. 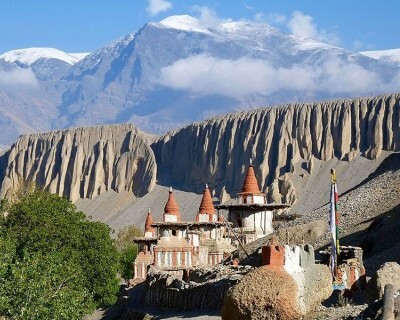 Annapurna circuit trek is the dream trek for you to enjoy your stress-free time. Annapurna Circuit Trek has a lot to offer to the audience. This trek takes you to villages, where a large diversity of people live. 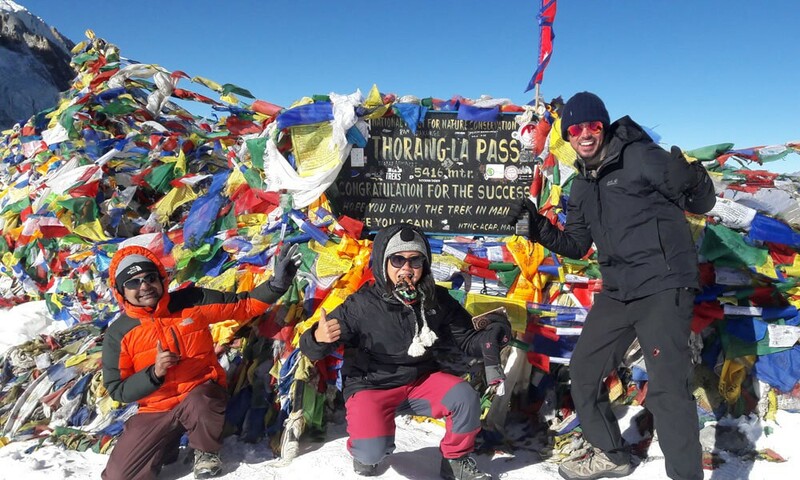 The highest point of the Annapurna Circuit is the Thorong La Pass at the top of the valley at 5,416 m. Trekking your way through the Annapurna region, you will come across many rivers, waterfalls, and bridges that will hypnotize you in a relaxing mode. Radiant beauty does not stop there. Further, the way up you will encounter the forest that will excite you to your inmost heart. The circuit trekking route is versatile. You can complete the whole route in 21 days. Annapurna Circuit Trek is one of the most adventurous treks that anyone has ever been on. If you are planning for this beautiful trip, the following are the details that can help you know more about Annapurna Circuit Trek. The best time for trekking the Annapurna Circuit is September to early December. 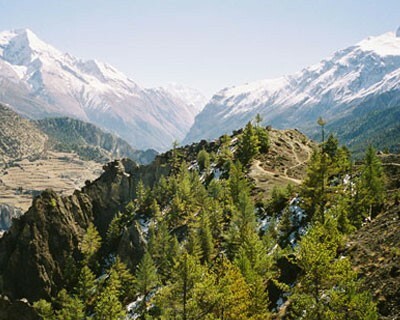 The second best time to trek the Annapurna Circuit is between March to May which is the end of dry season. The weather conditions during these seasons are pretty much perfect. If you plan to trek from June to September, carry rain gears as they are monsoon seasons. During these seasons, the risk of leeches, mudslides, downpours increase. The things you bring for the Annapurna Circuit Trek mostly depends upon the weather condition of the region. Based on the peak season i.e October and November, April and May, following are the list of items you need for Annapurna Circuit Trek. Prepare yourself with a well-stocked kit for those unexpected. It would be best if the kit contained items such as band-aids, antiseptic creams, paracetamol, bites or burn creams, water purification tablets, antibacterial cream, anti-inflammatory gel etc. A good pair of boots plays an important role in the entire trekking. As that said, I would not recommend you to use regular running shoes or boots as they might not even have enough cushioning or lateral stiffness to the rocky ground. There can be rain, snow, and mud in April so if you want to keep your feet dry, hiking boots with waterproof membrane might help. If would be best if you buy quality trekking socks suitable for the climate you will be in. the best trekking socks are also determined by the cushioning they offer. For thick, winter socks, it’s all about the full cushioning, although these socks may make your trekking boots too tight. Therefore, medium cushioning trekking socks would be best for you. In the mountains, the weather changes quickly. So I advise you to wear a waterproof jacket with or without ventilation which offers different levels of waterproofing. You will mainly use windproof jackets only in the morning or sitting around at night. While at the same time, waterproof jackets will be useful when unexpected rain showers. While you are hiking, trekking or mountaineering, it is very likely that you will encounter harsh conditions like low temperatures, snow showers, rain, and wind. In such conditions, you might need proper trekking gear. Fingers are one of the body parts that are most prone to frostbites. Therefore a good pair of gloves will help you from getting frostbite. So Bring a pair of windproof gloves that will protect your fingers from any climatic condition. If you are packing things for trekking, don’t forget to bring your water bottles with you. At least bring two water bottles. One for drinking while you are trekking and another one for backup and refill. It would be best to carry a hot water bottle with you. Also bring water purifiers as you may have the drink the water from local taps, rivers, and springs. Sleeping bags are necessary due to the extreme cold in the Annapurna region. And also, in the absence of blankets, sleeping bags will be necessary for you to sleep properly. So, buy a light and not too heavy sleeping bag as you pack for your trekking. Sunglasses will help you protect your eyes from harmful UV rays. Therefore buy sunglasses that have UV protection as the UV intensity in the Himalayas of Nepal is high. Do not forget to packs items such as tissue papers, toothbrushes, toothpaste, hand sanitizers, soaps and shampoos, towels, lotions etc. Most of the hotels and lodges won’t provide any of the toiletries. These items will be useful if you have to camp outside. How Difficult Is The Annapurna Circuit Trekking? The difficulty level of the Annapurna Circuit varies according to person and climatic condition. The trek involves crossing high altitude passes. But, You don’t have to worry as the trek is doable, challenging and at the same time. 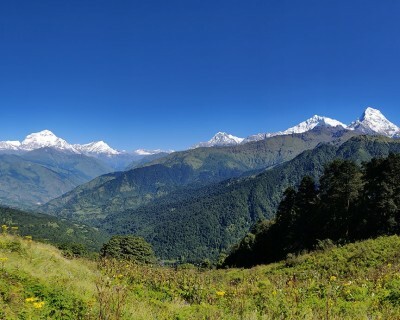 This trek takes you to the world’s highest Himalayan range, i.e the Annapurna range. So this trek is worth all the challenges and difficulties. Annapurna Circuit trek is long and challenging. So you should be able to walk around 5 to 7 hours daily. If you plan to trek the Annapurna Circuit, prepare yourself before going for trekking. You can prepare yourself by jogging, cycling, running and swimming to train yourself physically. One of the toughest parts of the trek is when you cross the Thorang La Pass at above 5000m leading you to Muktinath at the end of the day. Annapurna Circuit Trek is not as difficult as you think. If you have a sound trekking experience and love adventure, then Annapurna Circuit is best for you. As we all know, “slow and steady wins the race”, it will be best if you walk slowly while trekking. Do not rush or trek in a hurry as you may feel tired quickly. Walking slow and taking rests between the trek can help you reach the destination easily. Staying hydrated means drinking enough water while you are trekking. Drinking water keeps you fresh and alive while trekking. Drinking water two hours before starting the trek will keep you hydrated and relax. It is better you drink small sips of water rather than drinking a lot resulting in frequent urination. Before leaving for Annapurna Circuit Trekking, check the weather and temperature of the region. Pack the equipment and items according to the climatic condition of the place. Autumns and Springs are the best seasons for trekking in Annapurna Region. So to avoid more difficulty, it is best if you trek during these seasons and not during winter seasons. Drinking alcohol during trekking in the high altitude can cause hyperthermia, altitude sickness, and dehydration of the body. Do not get into the misconception that alcohol keeps your body warm. Rather it does the exact opposite. Therefore be aware before you drink any hard drinks when trekking. Nepal is one of the world’s most affordable trekking destinations. But, trekking in the high altitudes like the Annapurna Circuit Trek doesn’t come cheap. The cost of Annapurna Circuit trek for a solo trekker is between the range of 700 to 1000 USD. This covers your lodging, food, and permits. The cost of trekking in the Annapurna Circuit may differ according to various subjects. 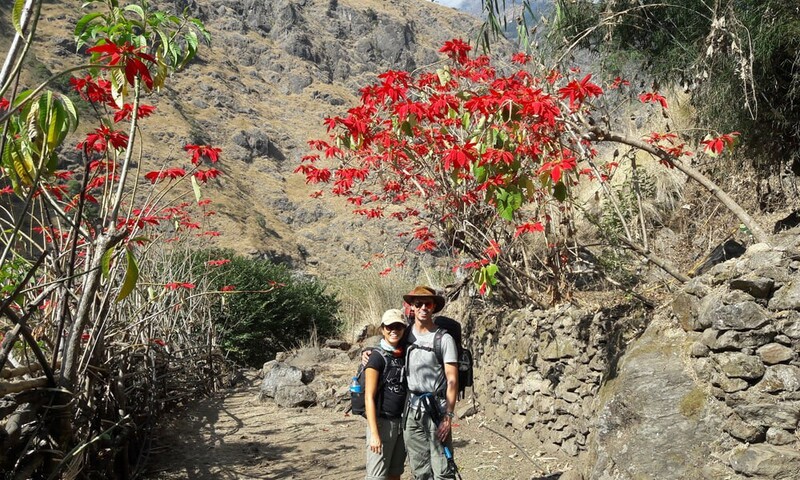 If you wish to hire a guide and a porter to make your trekking comfortable, the cost automatically increases. The cost also differs if you hire a private jeep and stay in a decent lodge. mostly solo trekkings are much expensive in comparison to trekking in a group. So, it would be best if you trek in a group rather than alone. The accommodation on the Annapurna circuit region is more than decent. You can find small teahouses made up of rocks and wood on the way to the trek starting from Besisahar to Jomsom. The accommodation provided by the teahouses may not be as good as those provided by any five stars hotels. But the basic accommodations available are more than enough for your stay. The rural people and workers in the teahouses regard guests as a god. You will feel like home staying in small teahouses. You can stay in the teahouses or guesthouses. It is the time where you’ll enjoy your dinner and meet other fellow travelers sharing the same route. Most of the teahouses on the way to Annapurna Circuit are well equipped with proper toilets, bedrooms, blankets, and foods that will make your stay comfortable. The accommodation is quite comfortable but the prices may differ as you go to more remote areas. Generally, Nepal is famous for its different style of cuisine. The foods that are available in the Annapurna Circuit is more than good. You can experience the local food here when you stay in one of the teahouses. Foods in the Annapurna region is pretty good. You can find varieties of food items according to your preferences. But, I suggest you try the national Dish of Nepal, which is, ‘Dal Bhat and Tarkari.’ the cost of one plate of Dal Bhat Tarkari starts at around 200 rupees and reaches to 700 as you trek to a more remote area. Various types of beverages are also found in the area. You can drink beverages such as tea, hot lemon, soda beer which will keep you refreshed. But, I suggest not to take hard beverages while you are planning to trek. Chocolate bars and chewing gums will keep you energized and refreshes you. So bring some chocolate bars with you while packing your bag for trekking. Day 02 City tour and sightseeing around Kathmandu Valley. Day 15 Rest day at Tatopani. Day 16 Trek to Ghorepani (2750m). Annapurna Circuit Trekking is a new adventure trekking in Nepal. You will have one of the best trekking experiences if you plan to trek the Annapurna Circuit. You will enjoy the beautiful hospitality of the Nepalese people. Annapurna Circuit trekking is one of the best trekking experience you’ll never forget. It is best to trek the Annapurna Circuit with the help of travel company. The travel company will arrange everything if you wish to trek the Annapurna Circuit. If you are planning on doing the Annapurna Circuit, we are always there to help. Contact us if you have any queries.